Is Louisville built for a national championship? Myisha Hines-Allen had 24 points and 13 rebounds, Asia Durr scored 19 points and top-seeded Louisville quickly pounced on No. 8 seed Marquette on the way to a 90-72 victory Sunday in the second round of the women's NCAA Tournament. 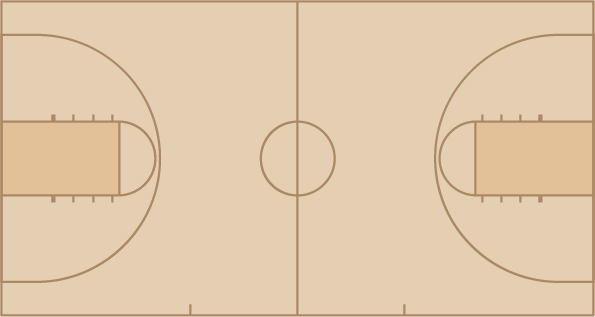 Allazia Blockton made Three Point Jumper. Assisted by Amani Wilborn. Erika Davenport made Layup. Assisted by Allazia Blockton. Allazia Blockton made Layup. Assisted by Natisha Hiedeman. Allazia Blockton missed Three Point Jumper. Erika Davenport made Layup. Assisted by Natisha Hiedeman. Selena Lott missed Three Point Jumper. Selena Lott made Layup. Assisted by Allazia Blockton. Allazia Blockton made Three Point Jumper. Assisted by Natisha Hiedeman. Lauren Van Kleunen missed Three Point Jumper. Erika Davenport made Layup. Assisted by Amani Wilborn. Allazia Blockton made Jumper. Assisted by Erika Davenport. Danielle King made Three Point Jumper. Assisted by Allazia Blockton. Allazia Blockton made Layup. Assisted by Amani Wilborn. Lauren Van Kleunen made Layup. Assisted by Allazia Blockton. Allazia Blockton made Three Point Jumper. Assisted by Danielle King. Lauren Van Kleunen missed Layup. Lauren Van Kleunen missed Jumper. Selena Lott made Three Point Jumper. Assisted by Amani Wilborn. Danielle King made Layup. Assisted by Allazia Blockton. Erika Davenport made Layup. Assisted by Danielle King. Asia Durr made Jumper. Assisted by Sam Fuehring. Sam Fuehring made Jumper. Assisted by Jazmine Jones. Sam Fuehring made Layup. Assisted by Myisha Hines-Allen. Asia Durr made Three Point Jumper. Sam Fuehring made Layup. Assisted by Jazmine Jones. Asia Durr made Layup. Assisted by Arica Carter. Sam Fuehring made Layup. Assisted by Asia Durr. Sam Fuehring made Two Point Tip Shot. Kylee Shook made Layup. Assisted by Bionca Dunham. Asia Durr made Jumper. Assisted by Myisha Hines-Allen. Myisha Hines-Allen made Layup. Assisted by Arica Carter. Myisha Hines-Allen made Jumper. Assisted by Jazmine Jones. Myisha Hines-Allen made Jumper. Assisted by Asia Durr. Jazmine Jones made Layup. Assisted by Dana Evans. Sam Fuehring missed Three Point Jumper. Arica Carter made Layup. Assisted by Myisha Hines-Allen. Myisha Hines-Allen made Layup. Assisted by Jazmine Jones. Myisha Hines-Allen made Layup. Assisted by Asia Durr. Asia Durr made Three Point Jumper. Assisted by Arica Carter. Bionca Dunham made Layup. Assisted by Sam Fuehring. Myisha Hines-Allen made Jumper. Assisted by Sam Fuehring. Jazmine Jones made Layup. Assisted by Asia Durr. Sam Fuehring made Layup. Assisted by Arica Carter. Jazmine Jones made Layup. Assisted by Arica Carter. Jessica Laemmle made Three Point Jumper. Assisted by Jazmine Jones.